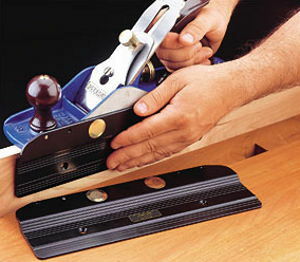 Veritas Jointer Fence Planing a square edge on a board requires a jointer fence, whether you are using an electric jointer or a hand plane. The Veritas jointer fence allows you to shoot accurate and consistent square or bevelled edges with most iron or steel bench planes including Veritas low angle planes. 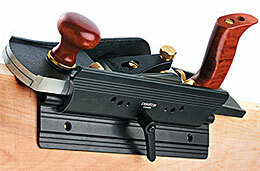 (but excluding the Veritas bevel-up jointer and smoother planes due to their coffin shape of the body). The integral rare-earth magnets make it quick and easy to attach or remove the 11 inch (279 mm) long anodized aluminum fence from either side of all sizes of bench planes, from a smooth plane (#4) to a jointer (#8). 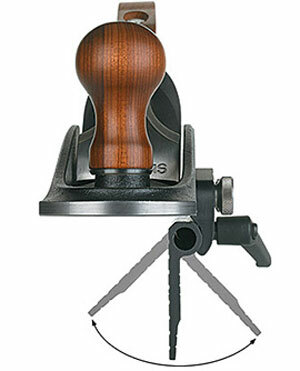 As supplied, the 2 inch tall guiding face can be used to plane edges perfectly square to the face of your workpiece. 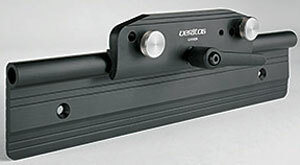 It can also be used to shoot angles less than 90° when a bevelled wooden guide is attached to the inside face of the fence. The fine thread on this Norris-style adjuster slows blade advancement, making it easier to set blade projection precisely. An easy retrofit, it simply replaces the regular adjuster supplied with the Veritas plane. Two versions are available. Type A fits the Veritas bevel-up smoother, bevel-up jointer, low-angle jack, low-angle smooth, standard block and low-angle block planes. 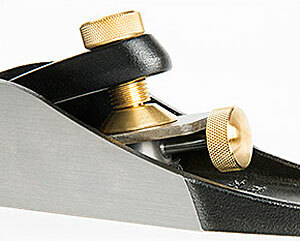 Type B fits the small bevel-up smoother, jack rabbet and shooting planes. This plane fence doesn't limit you to right angles – it allows accurate and consistent planing of any angle from 45° to 135°. 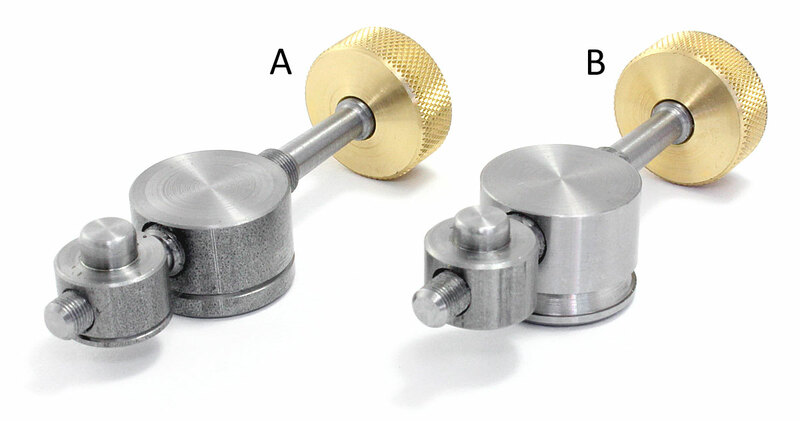 Angles are set using a square or angle gauge, or directly on an angle you wish to match. The spring-loaded lever, which locks the fence, can be rotated out of the way if necessary. Through-holes in the 280 mm (11 inch) long aluminum fence allow the attachment of a wooden extension, or a tapered spacer for planing angles less than 45°. 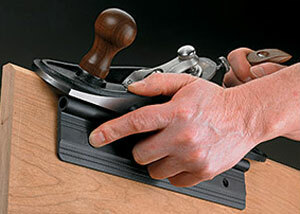 It mounts with stainless-steel thumbscrews to the tapped holes in the sides of the Veritas custom bench planes, shooting plane, bevel-up jointer plane and jack rabbet plane. Through-holes in the 280 mm (11 inch) long aluminum fence allow the attachment of a wooden extension, or a tapered spacer for planing angles less than 45°. 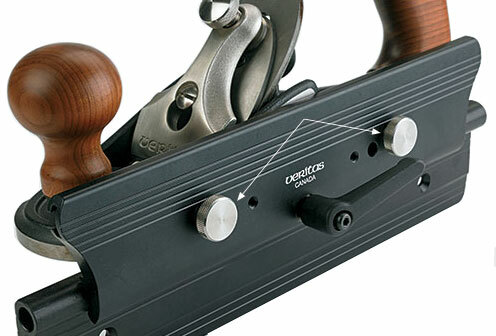 For planes such as the VERITAS jack rabbet, jointer, shooting and custom bench planes, the fence is designed to mount to the tapped holes in the side wings using stainless-steel knobs that are available separately. 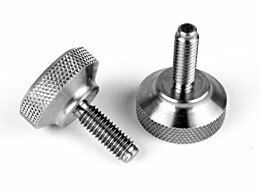 Items above marked with a require these stainless-steel mounting knobs. 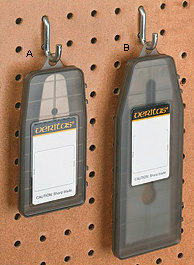 Veritas Plane Blade Cases These are the same durable polypropylene blade cases that are now supplied with all Veritas bevel-up and bevel-down planes and blades. With a one-piece, hinged clam-shell design with a locking clasp, they are both easy to open and secure when closed. The raised bosses inside the case register with holes in the blade, fixing the blade in position to ensure its sharp edge is held away from the case walls. Each case has an integral hang hole, and is designed to nest so you can stack multiple cases securely in a drawer or on shelving. For quick blade identification, two adhesive-backed labels are provided for marking the details, and a VCI (Vapor Corrosion Inhibitor) chip is included to protect the blade from corrosion while in storage. Plane blade NOT included! 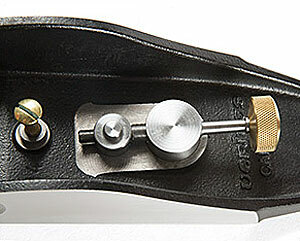 The bevel-up blade case measures 2-5/8 x 5-1/2 x 1/2 ich (66 x 140 x 12 mm) thick; fits all Veritas block planes (including apron and skew), small, low-angle and bevel-up smooth planes, plus jack and jointer planes. The bevel-down case is 3 x 8 x 1/2 inch (76 x 203 x 12 mm) thick; fits Veritas #4 & 4-1/2 smooth, #5-1/4 bench, and #6 fore, plus blades for Record and Stanley planes (#2, 3, 4, 4-1/2, 5, 5-1/4, 5-1/2, 6, 7 & 8 bench planes; #9-1/2 & 60-1/2 block planes). 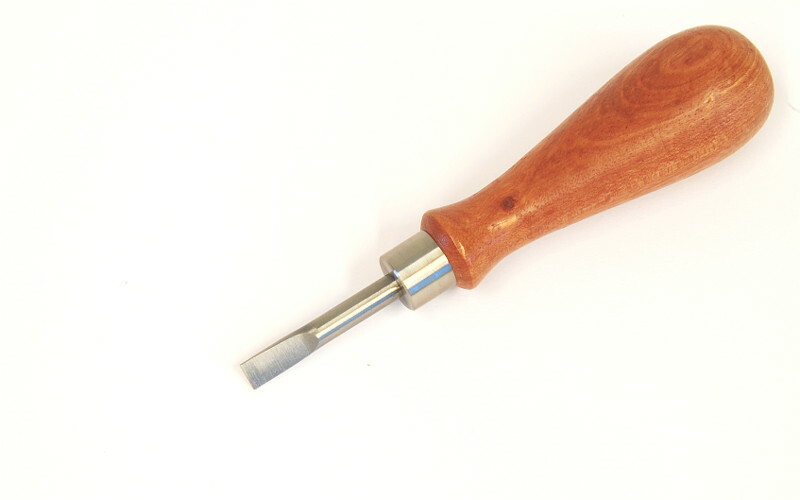 JUUMA Hand Plane Screwdriver - Short Model This handplane screwdriver with blade cross section 8.5 x 1.5 mm fits the screw heads in our iron hand planes. 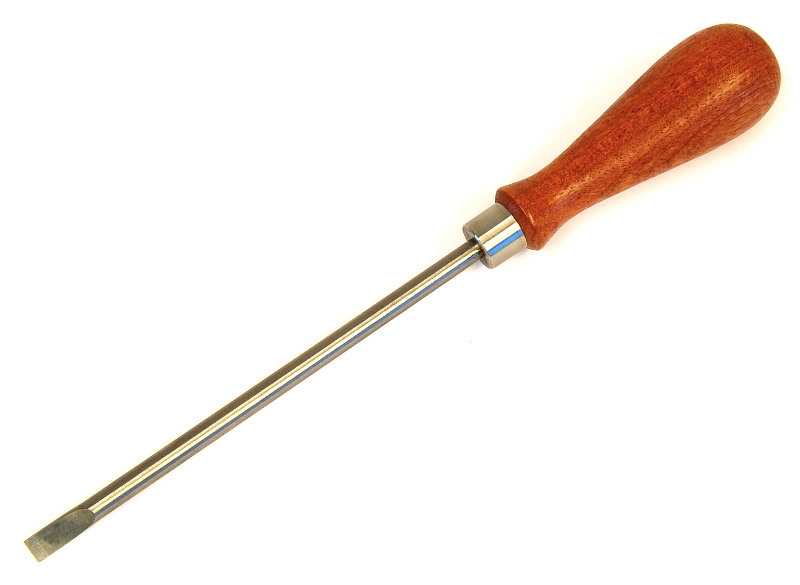 The short type offers a good grip on exposed screw heads. Also to use for other tasks as normal screwdriver! JUUMA Hand Plane Screwdriver - Long Model As above but long type! 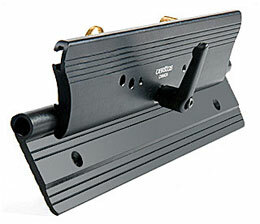 Very comfortable when turning the screws on the back side of the mounted frog!